We provide cultural responsiveness training that are designed to help you work more effectively with people from refugee and migrant backgrounds. We offer monthly workshops based in Richmond or we can come to your workplace to deliver training. We work with communities and health and community services to help improve the sexual health outcomes of people from refugee and migrant backgrounds. We are dedicated to providing resources, information and tips to help improve the way in which you work with people from refugee and migrant backgrounds. We build knowledge and evidence to improve how service providers work with clients from refugee and migrant backgrounds. We provide research expertise to assist organisations build capacity for working effectively with diverse communities. Our cultural expertise can help you improve the way you engage with people from refugee and migrant backgrounds. We can design and manage projects relating to cultural competence. Our online training program covers topics on cultural competence to help you become more culturally responsive at your work. We can tailor our online learning for your organisation. We work closely with professionals from health, community and legal government services to improve their responsiveness to people from refugee and migrant backgrounds. Most of our projects work towards building an agency’s cultural competence with priorities and actions directed by the agency. We are leaders in developing an evidence-base to support cultural competence, health literacy and consumer participation. Our research contributes to better health outcomes for refugee and migrant communities through improved service delivery. We help reach our organisational objectives and goals as well as provide support on project work. We do this through providing strategic communications and effective use of technology to enable further community engagement and reach of services. We aim to address the poorer health outcomes experienced by people from refugee and migrant backgrounds, around HIV, viral hepatitis and sexually transmissible infections. We grew out of North Richmond Community Health which provides medical, dentistry, counselling, cultural and allied health services to the communities of the City of Yarra. Since its inception in 1974, North Richmond Community Health Limited has tailored its services to meet the changing needs of a very culturally diverse location. Staff at North Richmond soon came to understand how culture and ethnicity impact on the way people understand health and wellbeing, and the way they acess health services. As a result, North Richmond has maintained an outstanding reputation for delivering culturally competent service. In 1994, North Richmond received funding from the Victorian Department of Human Services to share its learning across the state, and the Centre for Culture, Ethnicity and Health was formed. With an initial focus on health, we have provided cultural competence training to healthcare professionals and began to amass a library of resources on multiculturalism and health. Since then, we have continued to develop our expertise in health and wellbeing, human rights, cultural competence and health literacy. Demos is the Chief Executive Officer of North Richmond Community Health as well as the Director of CEH. Demos migrated to Melbourne with his family from Greece in 1954. 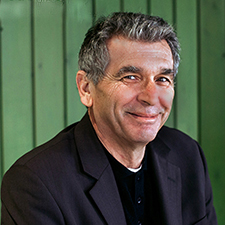 Since 1985, he has held a number of positions in the health care sector including six years as executive officer with the health consumer organisation Preston/Northcote District Health Council. Bernice is a project manager with experience in both the government and non-government sectors. At the Department of Human Services (DHS), Bernice worked in homeless and family violence, primary health and managed the Primary Health Programs team comprising women’s health, counselling in community health, family planning and school nursing. 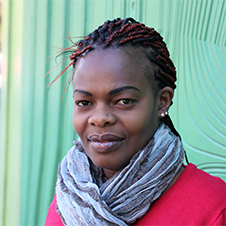 Equitable access to services has been a theme throughout her career.Bernice has been at CEH since May 2014 and manages the capacity building projects and professional development. Projects include a learning and development project with staff at Whittlesea City Council and working with Fisheries Victoria staff on developing appropriate information resources for newly arrived communities. Alison has worked in local government developing and implementing the first prevention based Health & Wellbeing Plan in the State with the Diversity Strategy, Reconciliation Policies and a Women’s Health Initiative. Prior to this she spent more than a decade in the community sector in refugee policy development, advocacy, regional coordination and direct service in metropolitan Melbourne. Alison is a sitting member of the Victorian Ministerial Blood Borne Viruses Advisory Committee, a member of the Victorian Hepatitis B Alliance (VHBA) and Board member of the Australian Federation of AIDS Organisations (AFAO). 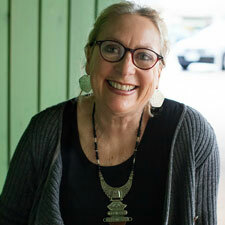 She is the founding member and Chair of the new Australian Multicultural Alliance on Sexual Health (AMASH). Becky is a qualified doctor with 14 years experience in the health and community services in Australia and overseas. She has worked with refugee and migrant communities as a community development worker and a caseworker, and as a doctor in public hospitals. She has led numerous projects aimed at improving the health, social and employment outcomes for refugees, migrants and asylum seekers including sector development positions. 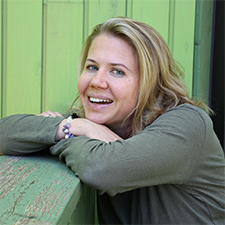 Becky joined CEH in 2018 and is currently working on developing resources for the Health Translations Directory and other capacity-building projects. 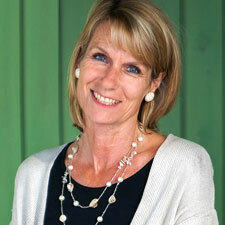 Anni is a passionate and experienced events & fundraising professional. Her experience, over the last 10 years has been in the areas of event management, fundraising and experiential marketing productions in Melbourne and overseas. In these roles, she has continuously delivered successful and innovative results for clients including the Department of Education, World Vision Australia and Health Workforce Australia. Anni has a Bachelor of Media Studies (Honours). She has a professional interest in employing her strong planning skills and experience in a role where she provides strategic and logistical support. Anni is involved in marketing and online engagement projects that focus around the areas of cultural competence and health literacy. 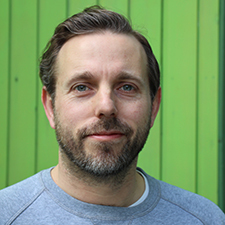 Fred joined CEH in March 2018 with many years of experience in the digital industry. He is responsible for improving the digital profile of CEH by analysing organisational needs, identifying gaps, finding suitable solutions and managing the implementation of those solutions. His work includes improving the user experience of the Health Translations Directory, need analysis for and procurement of a learning management system and redevelopment and continuous improvement of the CEH website. Sabina maintains the CEH library collection including web-based resources and delivers an information and reference service to CEH stake holders and staff. Before immigrating to Australia in 2001, Sabina worked with the Swiss Red Cross in Berne, where she managed their library and archives. In this position she acquired skills and experience in information management and information service delivery in the health, community, migration and international development sectors. Sabina completed her diploma in library and information studies in order to gain accreditation in Australia and in 2012 accomplished a diploma in project management at Victoria University. Spase commenced at CEH in September 2005. 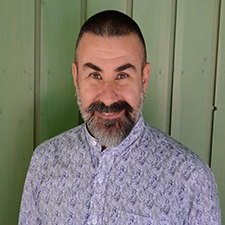 He has over 20 years’ experience in access and equity work and language services in mental health, local government and community health. He has experience in project management, research, evaluation and has previously managed a team in a community health centre. Spase has expertise in language services, organisational cultural competence and health literacy. He is a trainer and project worker in all these areas. Spase has a Bachelor of Arts (Multicultural Studies), Master of Public Health and Certificate IV, Training & Assessment. 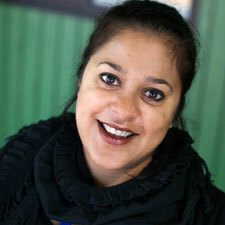 Siri Gunawardana has over 15 years of experience in migrant and refugee settlement, training and health promotion. Siri holds a Masters in Public Health, a Bachelor of Arts-Community Development, and Certificate IV in Workplace Assessment and Training. 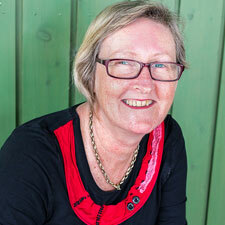 Mary is a qualified social worker who has worked in aged care and settlement services. For a number of years, she also managed an ethno-specific service that provided settlement, domestic violence, language and aged care services. At CEH, she was the manager of the Multicultural Gambler’s Help Program (MGHP) from 2006 to 2010. The work of the MGHP focused on improving responses to problem gambling for migrant and refugee communities. 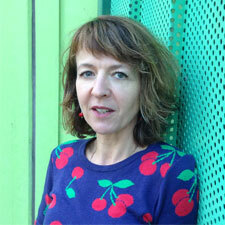 Mary is currently a senior project officer at CEH working on strategic projects. 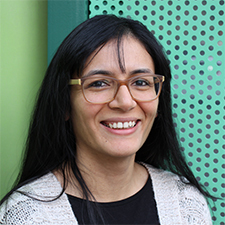 Kanwal Saleem is a Community Engagement and Projects Officer at the Multicultural Health and Support Service, a program of the Centre for Culture, Ethnicity and Health. Kanwal is an overseas-trained doctor and has a master’s degree in Public Health. She has a passion for Sexual and Reproductive health promotion through community education and evidence-based research, with a strong focus on BBVs, STIs and their impact on our behaviours, health, and wellbeing. Eudia is a Community Engagement and Project Officer working with Refugee and Migrant Communities. She is responsible for a number of projects with a focus on Alcohol and Other Drugs (AOD), the Youth Health Clinic and Sexual Health. Eudia is a Registered Nurse with experience in the area of Drug and Alcohol, Mental Health, Aboriginal Health and General Nursing. She holds a Master of Public Health (Primary Health Care), Bachelor of Nursing and Bachelor of Commerce in Accounting and Business Administration. Viv oversees all aspects of administration at CEH. Trained as an early childhood educator, she has over 25 years’ experience working with children from diverse backgrounds, starting in London in the early 1970s and eventually establishing a day care centre for an independent school in Armadale in I992. Viv became a volunteer at North Richmond Community Health Ltd, a position which eventually led to her current role at CEH. Rebecca joined the Multicultural Health & Support Service (MHSS) team at CEH to coordinate the African Diaspora Networking Zone at the 20th International AIDS Conference. With experience in running educational and networking events in the blood borne virus and sexually transmissible infections area, Rebecca has taken on the role as Community Projects Officer, coordinating the Multicultural Sexual Health Network forums in addition to other activities that support the implementation of MHSS’ strategic direction. Rebecca has worked in India, Vietnam, Ethiopia and locally. 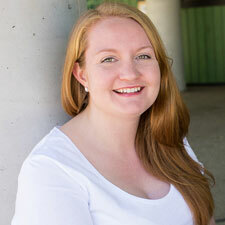 Rebecca holds a Master’s degree in International Public Health and a Bachelor of Arts in International Studies. Matt is currently responsible for communication, public relations and marketing activities that support CEH’s services. Matt has worked in communication roles since 1999. He has worked in generalist roles and also specialised in media relations, on-line and strategic communications. 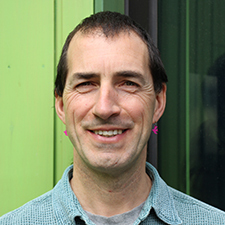 He has also taught since 2006 at RMIT, Deakin and Monash University. Matt has also worked in disability advocacy focussing on governance and providing strategic advice to a number of groups. Matt is studying a PhD in Communications which he will complete in early 2019. His other qualifications include a Master of Arts (Communications), A Bachelor of Arts (Media) and an Associate Diploma of Arts (Professional Writing & Editing). Sophie has more than 15 years’ experience working with refugees, asylum seekers and migrant populations in the area of sexual health education, HIV/AIDS and employment support. She holds a Bachelor of Law, Masters of Journalism and Graduate Diploma in Counselling. 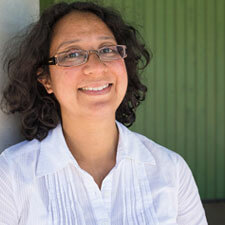 At CEH, she works on multicultural information provision and the development of resources for the health sector. Amir is currently working as Community Engagement and Projects Officer with Centre for Culture, Ethnicity and Health under the Multicultural Health Support and Service program. He is currently working with the Hazara community in Victoria. 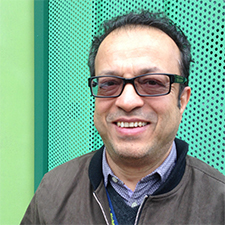 Amir has worked in the health and community development sectors since 1988. He has worked in the areas of women and children’s health. He has also experience in strategic health communication, social mobilisation and program communication. He has been involved in the planning, implementation and evaluation of National Immunisation Days for the eradication of polio and elimination of other preventable diseases. Amir has a Master of Business Administration and a Master of Public Health. Mabor is a community engagement and projects officer, responsible for managing five projects including Faith leaders, Juvenile Justice, the Multicultural Community Action Network, Peer Education and the Centre for Culture, Ethnicity and Health Relationship Project. He holds Master of Public Health, Master of Science in Medicine (Clinical Epidemiology) and BSc (Medical Forensic and Analytical Chemistry). Mabor has knowledge, experience and skills in public health practice including clinical epidemiology/Epidemiology, biostatistics, research, health promotion, health policy, health design and programming. These skills have proven to be very useful in the health projects/programs aspect that the Multicultural Health Support Services program provides. Pier is a Community Engagement and Project Officer working with people from a migrant and refugee background. His projects include the areas of sexual health, gender identity, blood borne viruses, stigma and cultural competence. Pier has worked in the community sector for over 25 years in diverse areas such as human rights, international development, labour rights, community radio, blood borne viruses and health promotion. Pier is also an experienced trainer. He has a Diploma of Education, a Master of Arts and a Bachelor of Science (Hons). Jolyon is the Training Coordinator at CEH. He works with clients to create targeted training outcomes and develops and delivers CEH’s face to face and online training. Jolyon has worked with the community and education sectors for over 15 years in diverse areas such as youth work, facilitation, youth engagement through media production, teaching and project based work around identity and filmmaking. Jolyon has a Bachelor of Social Science, Diploma of Education and a Cert. IV in Training and assessment. Masha Mikola currently works as a Research and Policy Coordinator at the Centre for Culture, Ethnicity and Health. Her work focuses on blood borne viruses and sexually transmissible infections in culturally and linguistically diverse communities. Masha completed her PhD in Intercultural Studies in Europe, and previously worked in academic settings, most extensively with the University of Melbourne and RMIT University. 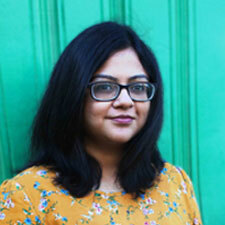 She was also affiliated with the Centre for Citizenship and Globalisation at Deakin University as a Research Fellow. At CEH, Nicola is responsible for social media management, content creation and project communications. Nicola is a digital communications specialist with experience in content production and brand management. 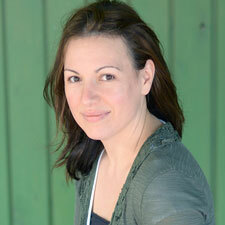 She has worked for production and post-production houses and has a Bachelor of Fine Arts (Screenwriting).